California's severe drought is killing trees on the Peninsula at an alarming rate. 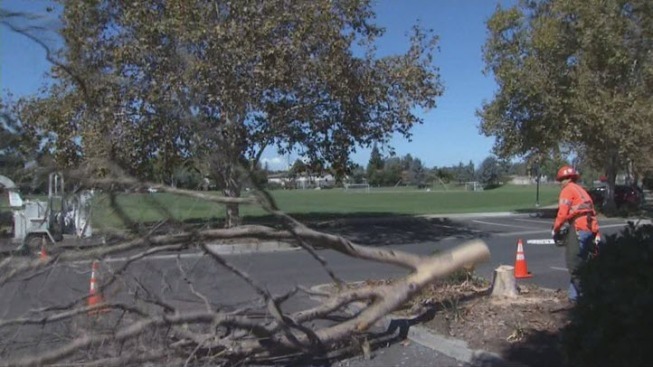 In Palo Alto, the city has removed 400 trees in the last year due to the dry conditions. City crews said removing dead trees are almost becoming a daily task. "People are sad about the trees going and it's not good," said Victor Frost of Palo Alto. Walter Passmore, who serves as Palo Alto's urban forester, said in addition to the 400 trees removed in the past year, 350 trees were cut down the year before due to the drought. "We need help from all of our partners in order to get over this short-term hump until we start having natural rainfall again," Passmore said. Residents are noticing the changes -- not only dying lawns, but the dead leaves and parched trunks. "The amount of greenery has definitely come down," Palo Alto-resident Kay Narayanan said. "We definitely don't want Bay Area to be like Los Angeles." The city has sent out fliers to residents with tips on watering trees. In addition, the city has deployed supplemental water trucks to help residents and trees in need.